I have to say this is so very unique, and was really pleased with the studio microphone mic wind pop shield.. This does not come with the microphone , you have to buy or already have your own microphone. What this device does is that it clips onto the microphone stand , and sits in front of the microphone. It is ment to help static and reduce outside noise when you are singing, or doing karaoke. I like this cause when I put on my headphones and hook this up to my microphone and tend to my singing. I can hear myself more clearly then just using a typical microphone. 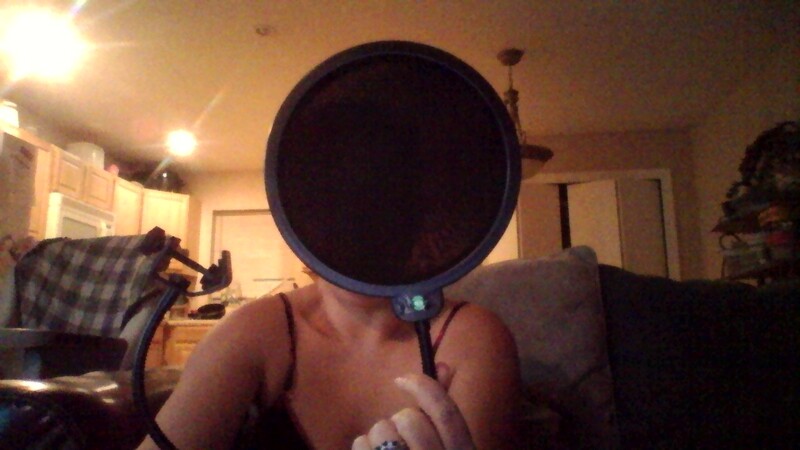 This pop shield is double layered. The plus side to using this is , I know many friends and family like to spit sometimes when they are singing, this shield help block the saliva from getting into the actual microphone. I do have to say this Generic mic wind pop shield is unlike anything I ever seen and most of all if you don’t have the money for the studio type this is perfect in the price range for any beginner in my personal opinion. THE MICROPHONE IS NOT INCLUDED. Disclaimer :I received this at a discount rate for the exchange of this honest and unbiased review! !